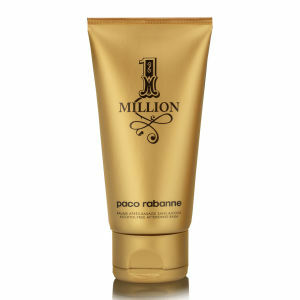 1 Million, a new fragrance for men 'blending sensuality and freshness' and symbolizing 'the first number in a new way of thinking'. 1 Million was inspired by Rabanne's metallic fashions, and in particular a 1967 dress worn by singer Françoise Hardy. The fragrance was developed by perfumers Christophe Raynaud, Olivier Pescheux and Michel Girard, and features notes of fragrance include grapefruit, mint, blood orange, rose, cinnamon, spice notes, blond leather, white woods, amber and patchouli. Appy to skin after shaving for a smooth finish.